In July 1857 Ferdinand Gregorovius, a German historian best known for his studies on medieval Rome, visited Subiaco to look at some documents in the library of the Benedictine monastery of S. Scolastica. 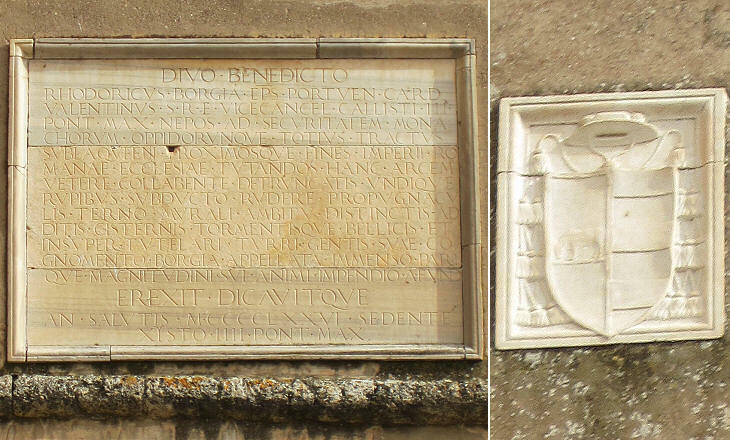 In the following year a German paper published Subiaco das älteste Benediktinerkloster des Abendlandes, a short account describing this monastery and that of S. Benedetto (aka Sacro Speco), which is located nearby (you can read the English translation by Dorothea Roberts in Bill Thayer's Web Site). Gregorovius provided his readers with a detailed historical background of the two monasteries. 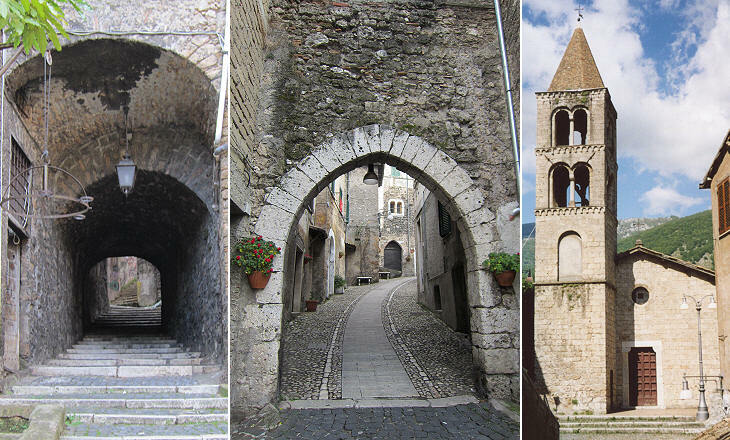 In his account Gregorovius concentrated on the monasteries and he mentioned Subiaco only briefly. The town stands on a hill in the upper valley of the Aniene (Lat. Anio), a tributary river which empties into the Tiber near Ponte Nomentano after having crossed Tivoli. 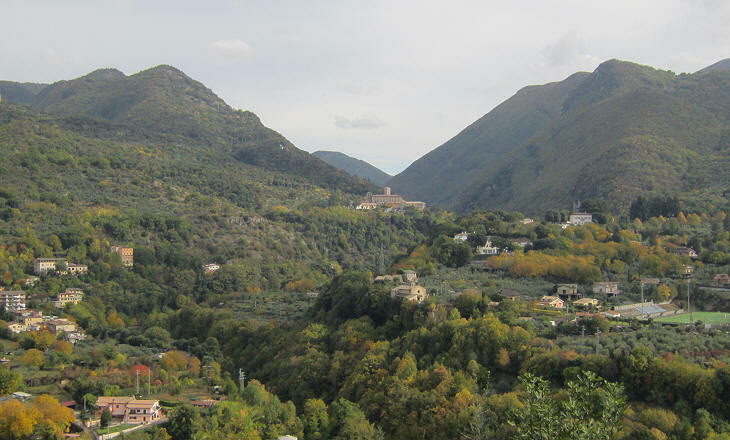 The name of the town derives from Latin Sublaqueum (below the lakes), a reference to the fact that Subiaco was located after three artificial lakes created in the Ist century AD as fishing ponds for a nearby villa built by Emperor Nero (the lakes do not exist any longer). The town of Subiaco was perhaps founded to house the engineers and slaves who were involved in the construction of Nero's villa or of Anio Novus, one of the main aqueducts which supplied Rome (it joined Aqua Claudia before reaching Porta Furba). 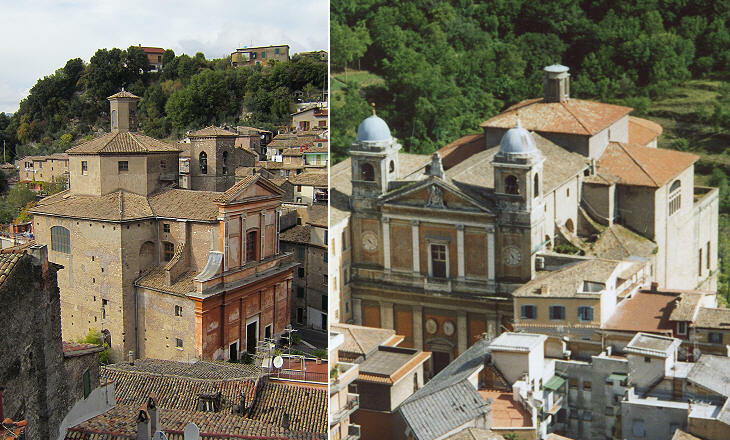 In 937 Pope Leo VII, probably a monk himself, assigned Subiaco to the Benedictine Abbey of S. Scolastica. 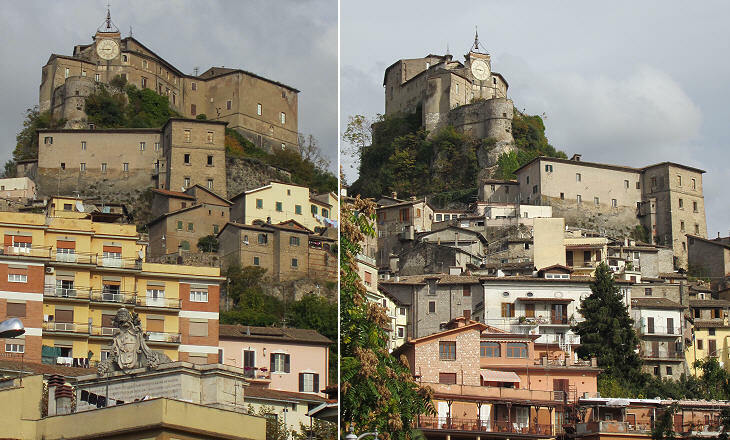 The town was ruled by the abbots until 1753 when Pope Benedict XIV abolished their feudal rights and placed Subiaco under the direct jurisdiction of the Papal State. Notwithstanding damage suffered during WWII, the upper part of Subiaco retains a medieval atmosphere; unlike most of the small towns of Latium it does not have those minor palaces which are a sign of the presence of noble or wealthy families in the history of the town; the Benedictine abbots treated the inhabitants of Subiaco as serfs and they did not even build a large church in the town. 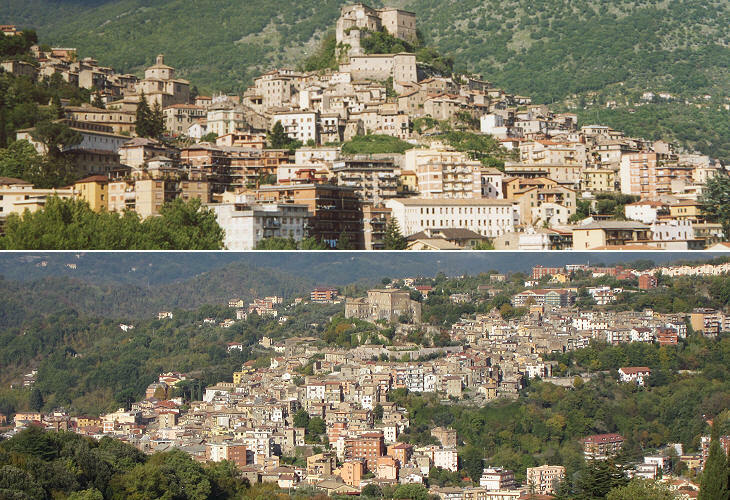 In the XIth century, after a long struggle with the inhabitants of Subiaco, the abbots took full control of the town and built a castle at the top of the hill where they set their residence; because of its commanding position the castle visually symbolized the abbots' power over their subjects. The abbot was appointed by the monks themselves until 1456 when Pope Calixtus III named a commendatory abbot, a cardinal who without being a monk or residing in the monastery supervised the activities of the Abbey (and received a part of its substantial income). Cardinal Juan de Torquemada, a Spanish theologian, was the first commendatory abbot; he reformed the rules regulating how the Abbey was organized; the abbots were obliged to take an oath by which they bound themselves to treat their subjects fairly. . In 1471 Pope Sixtus IV, immediately after his election, appointed Cardinal Rodrigo Borgia commendatory abbot of Subiaco, probably in return for the support received during the conclave. 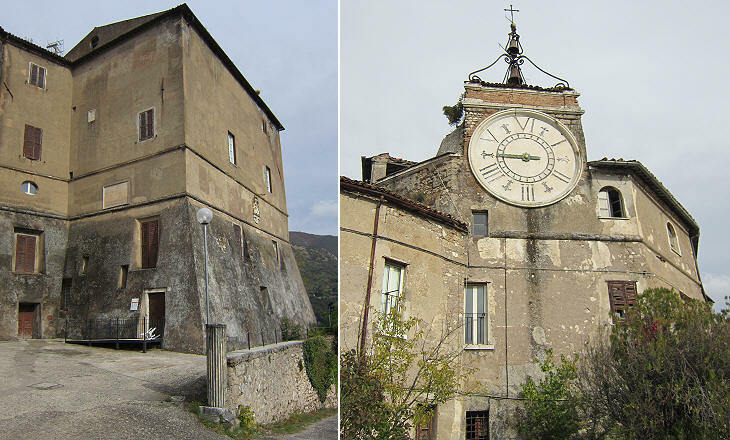 Cardinal Borgia modified the medieval castle by building a new wing which was at the same time a tower and a palace, where from time to time he resided with his mistress Vannozza Cattanei. In April 1480 she delivered a daughter (Lucrezia) in the cardinal's apartment at Subiaco. 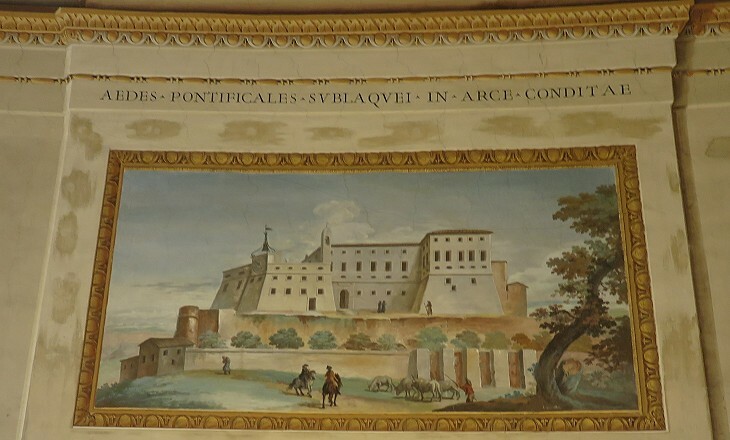 In 1773 Cardinal Giovanni Angelo Braschi was appointed commendatory abbot of Subiaco and he set his residence there; only two years later he became Pope Pius VI, but he decided to retain the office of commendatory abbot and he appointed a vicar. 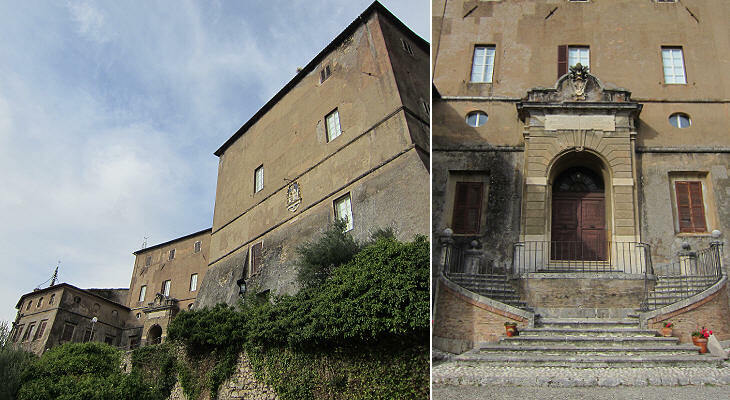 The castle was redesigned and new papal apartments were built inside. Pope Pius VI returned to Subiaco in May 1789 to celebrate the completion of a new road from Tivoli. For the occasion a triumphal arch was erected at the entrance of the new road into Subiaco. The image used as a background for this page shows his coat of arms at the top of the arch: the arch itself can be seen in a page dedicated to this pope. Pope Pius VI promoted the construction of two new large churches and favoured the development of paper, textile and copper industries which utilized the water provided by the Aniene River. The river was used also as a source of energy. 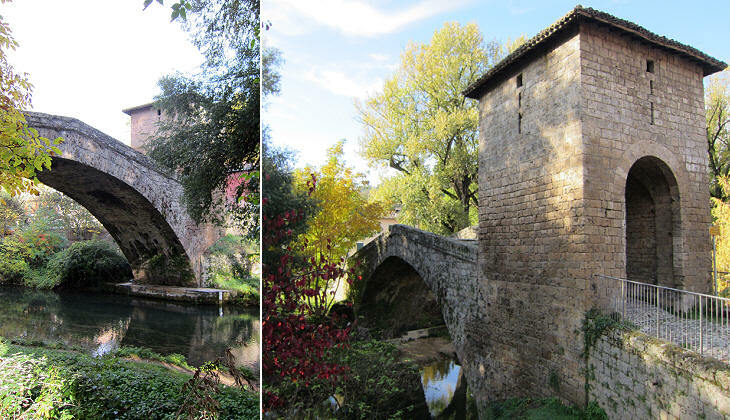 Pope Pius VI restored a medieval bridge built in 1358 by Abbot Ademaro to celebrate a victory over the troops of the Bishop of Tivoli. At that time the popes were at Avignon and they were trying to restore order in the Papal State which was in a chaotic situation; the war between a bishop and an abbot did not go unnoticed and Ademaro was summoned to Avignon and forced to resign his office. 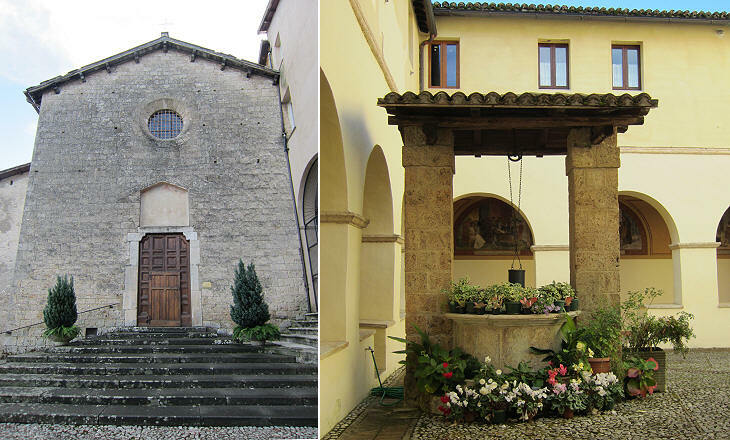 The abbots did not allow other religious orders to establish themselves in Subiaco; an exception was made for the Franciscans because St. Francis of Assisi visited the monastery of S. Benedetto and spent several months there. S. Francesco is located on the other side of the river and it was built in 1327 on a previous oratory donated by the abbots to St. Francis. 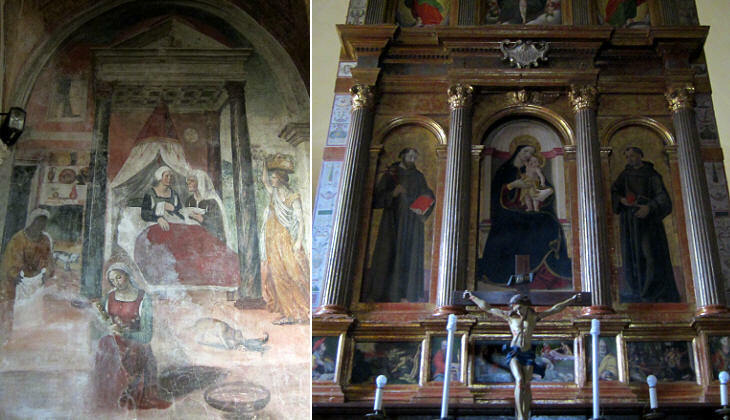 The monastery of S. Benedetto is a sort of art gallery because almost all its walls are painted, but it does not have fine works of the Renaissance, which instead can be seen inside S. Francesco. 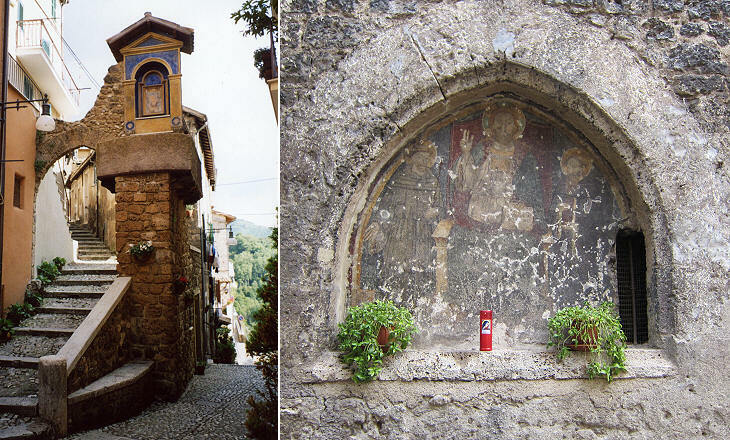 Move to page two: a Walk to S. Scolastica.